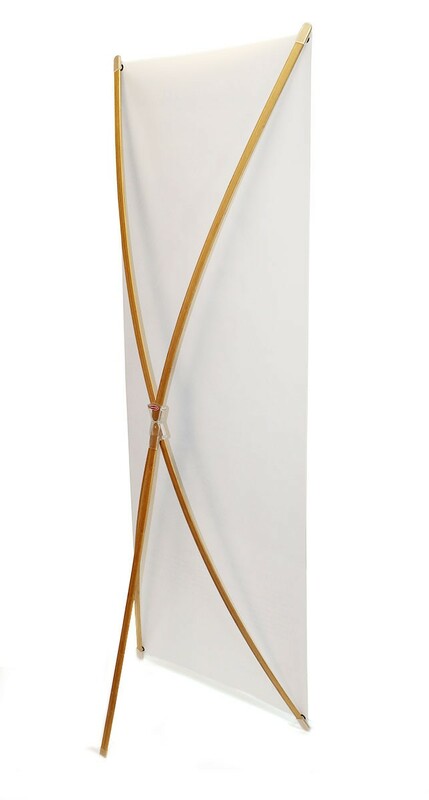 The Bamboo X Large is a unique, eco-friendly banner stand display. X style banner stands get their name from the X shape they form when a banner is attached. 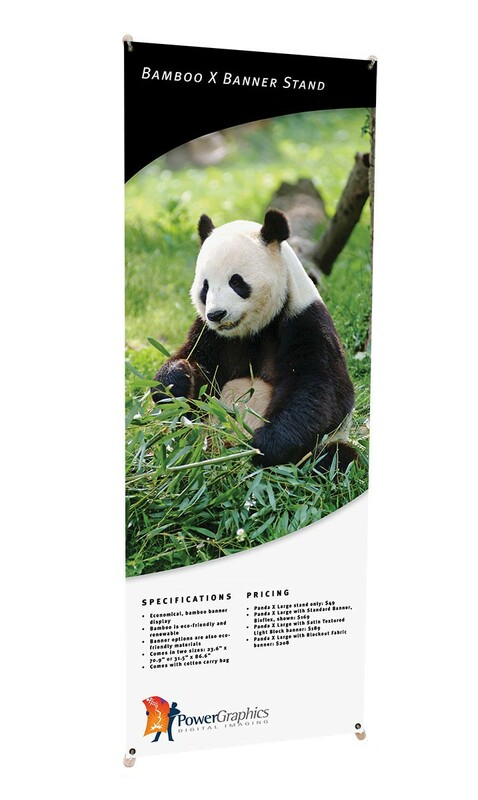 The Bamboo X Large displays a banner that is 31.5" wide x 86.6" high. Does this cost include the printed banner as well? The base price of the stand doesn't include the banner, but if you select a banner option, the price will update to include the banner in the price. 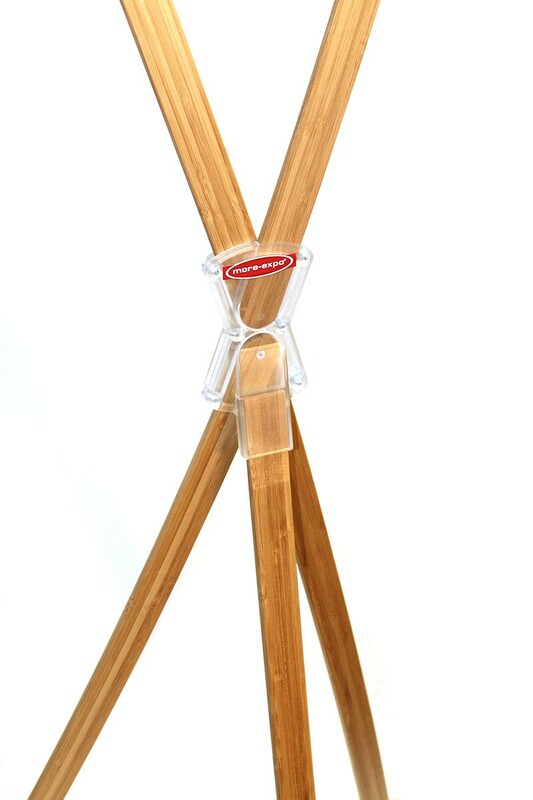 The Bamboo X Large is a unique, eco-friendly banner stand display. X style banner stands get their name from the X shape they form when a banner is attached. 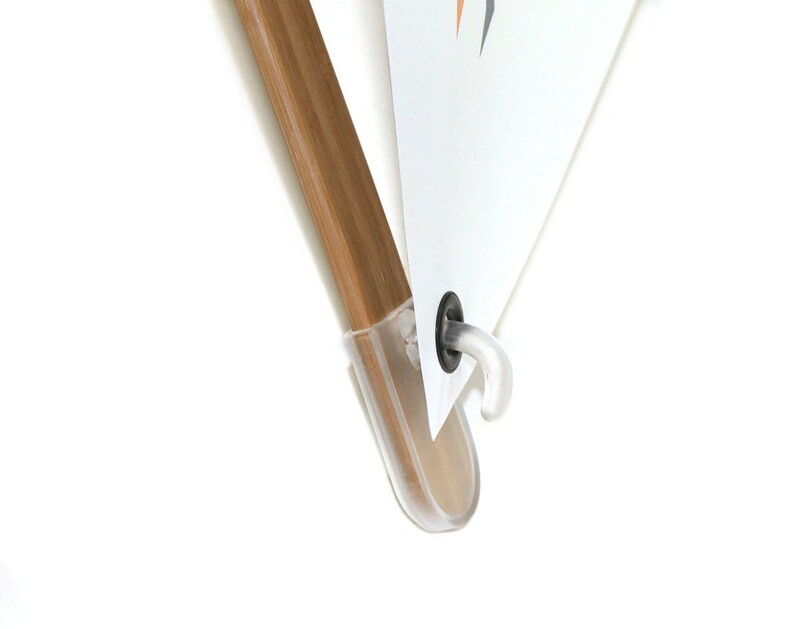 There are some variations between models, but generally, this style of banner stand has a central hub with flexible arms that connect from the hub to grommets in the corners of the banner. A rear tripod style leg balances the stand and give it stability. This simple design makes X banner stands very reliable, light weight and simple to set up, and the Bamboo X adds a unique look and environmentally friendly appeal. Because X banner stands are inexpensive, they are perfect for large scale promotions or banner displays on a tight budget. Since the display is very lightweight it's also inexpensive to ship, which is another advantage for those planning a large quantity purchase. 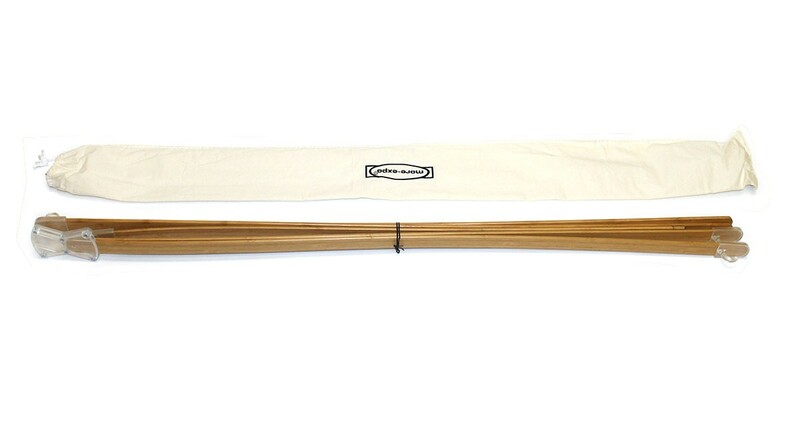 The Bamboo X comes in two sizes and includes an eco-friendly cotton travel bag. The Bamboo X Large displays a banner that is 31.5" wide x 86.6" high. The Hyper X Medium or Magic Banner Medium would both be good choices in a higher end X banner stand. The Hyper X Medium displays a 31.5" x 79" banner, while the Magic Banner Medium is adjustable and can display a banner from 32" to 48" wide and from 79" to 86" tall. The Econo X Large is our least expensive banner stand and is a good option for those looking for the cheapest banner stand. The Bamboo X is not typically a stand that would be sold with a travel case, as anyone interested in traveling with the stand would usually purchase a higher end model. However, if a travel case is needed, the Deluxe X Banner Travel Bag is a great option, and it can be found in the Related Products tab. Shipping size: 49" x 7" x 7"